Last weekend, 18th-21st September, saw the UK wide Great British Beach take place across the country. Launched by the Marine Conservation Society (MCS), this citizen science project not only aims to spruce up our beloved beaches, but also record the amount and types of litter found to highlight the issues and inspire people to take more responsibility in their local community for the environment. 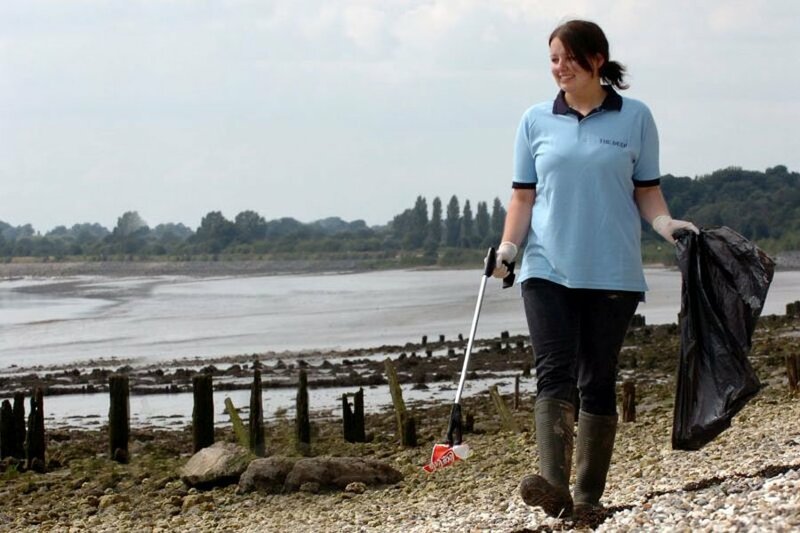 The Deep, in support of the Marine Conservation Society, launched their second beach clean of the year at Hessle Foreshore, near the Humber Bridge, which saw a huge influx of willing volunteers. 50 young people and 34 adult volunteers from scout groups in Humberside took part in this mass rubbish collection. The Beaver Scouts (ages 6-8) donned their hi-vis jackets, bin bags, gloves and litter pickers and got stuck in to the task at hand and collected a whopping 27.5kg of rubbish and 9kg of glass – they even dug a car tire out of the sand! Their aim was to make a difference, and they certainly did that! By removing this waste they are protecting local wildlife and reducing the impact of water pollution. This event saw a large number of Scouts taking part, as UK Scouting have revamped their program to focus on fun, challenge and adventure and have introduced new badges, including the Community Impact Award.